Golchi has designed an innovative drinks and snack bottle which allows you to carry two different drinks at different temperatures in one easy to manage bottle. Which also has a secret compartment in the middle which is perfect for carrying snacks to accompany your drinks. Watch the video below to learn more about this unique drinks bottle which is taken to kickstart and has already raised over $180,000 thanks to over 2,500 backers with still 35 days remaining on its campaign. Golchi holds 2 beverages of different temperatures at once, goes from big to small or one to two in an instant, and has 15 features. 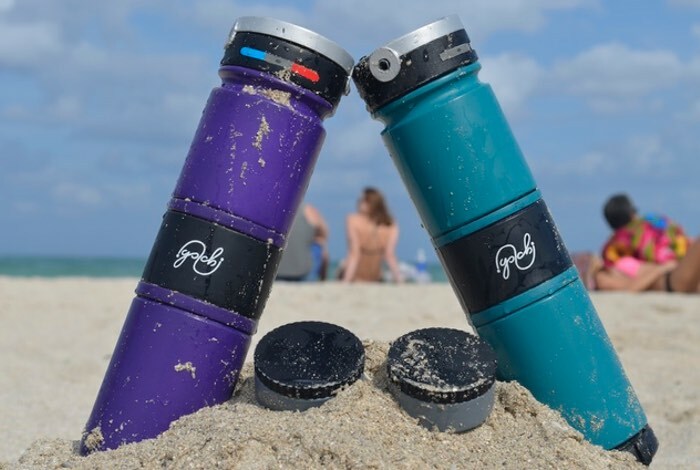 Golchi is the world’s first vacuum insulated bottle that can carry two drinks simultaneously in any combination of hot and cold. With modular design, Golchi is customizable to four different configurations. Additional storage space lets you conveniently carry other everyday essentials. Patent pending “Controlled Flow Mechanism” allows you to adjust size of drinking spout based on beverage. Fifteen cool features make this bottle the most versatile on the market. Golchi comes with a pour volume of 27 oz. With six colors and four styles to chose from, you are sure to find your perfect every day Golchi. Jump over to the Kickstarter website via the link below to make a pledge from $39 and to learn more about its design.